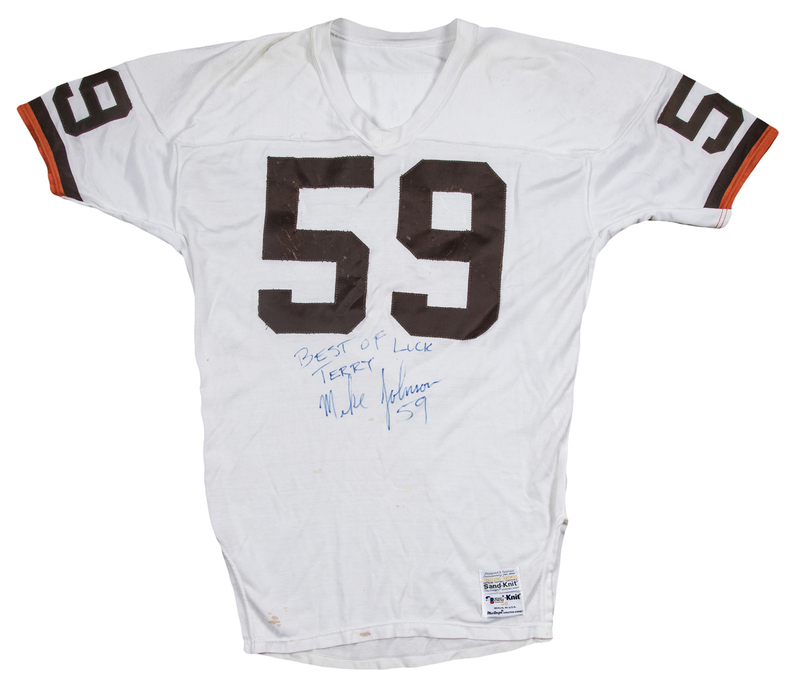 Cleveland Browns linebacker Mike Johnson wore this white road Browns jersey in 1987. 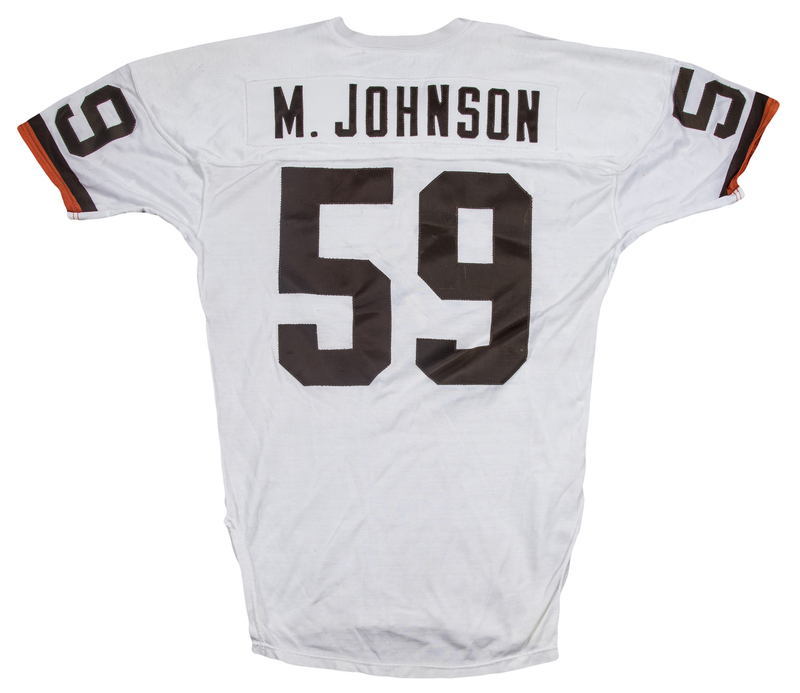 Johnson started 11 games for the Browns in 1987, recording 98 tackles, two sacks, and three forced fumbles. This white road jersey has Johnson’s number “59” sewn on the chest, back, and shoulders in brown tackle twill. 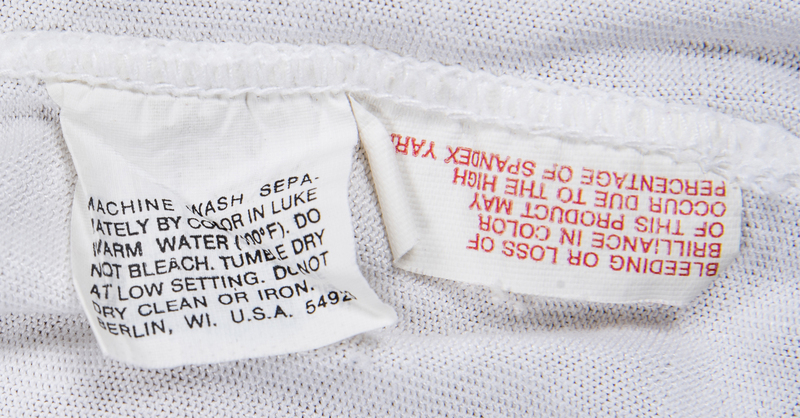 “M. 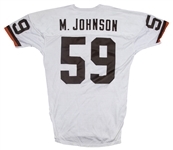 JOHNSON” is sewn across the back shoulders in brown tackle twill over a matching white nameplate. 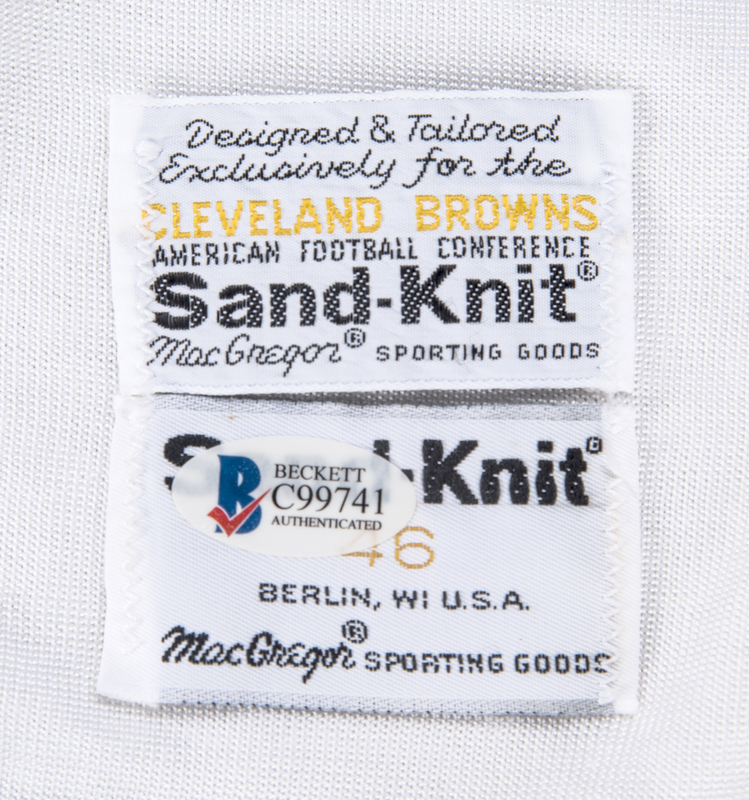 A Browns and Sand-Knit size “46” tags are sewn on the front left tail of the jersey. This jersey shows heavy wear, including stains on the front tail and team repairs on the chest. 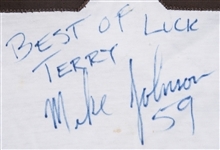 Johnson signed the front of this jersey in blue marker, inscribing “Best of Luck Terry” above his signature. 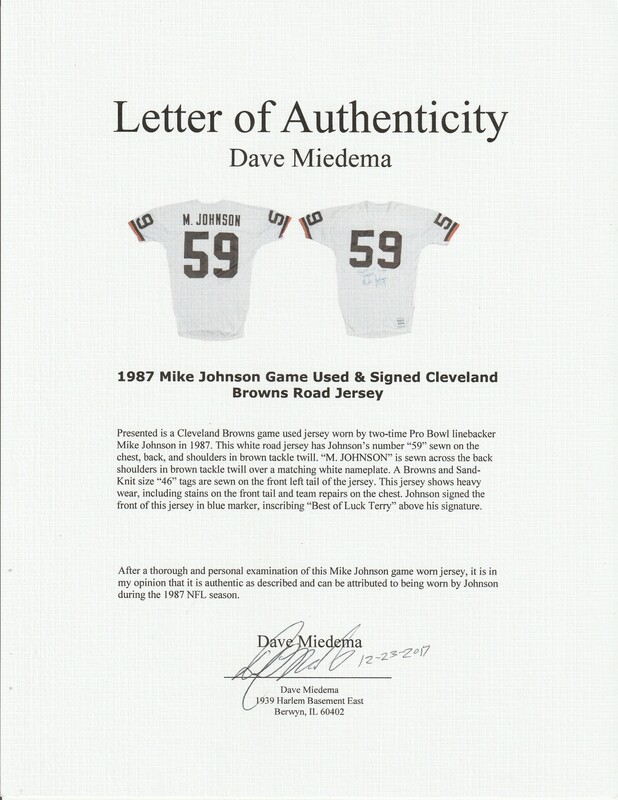 The signature comes with a STICKER ONLY from Beckett Authentication Services (C99741) and the game use is covered by a LOA from noted game used jersey expert Dave Miedema.